1994-1994 SKI DOO FORMULA EFI SKI DOO WINDSHIELD SMOKE, Manufacturer: KORONIS, Manufacturer Part Number: 450-463-02-AD, Stock Photo - Actual parts may vary. 1994-1994 SKI DOO FORMULA EFI SKI DOO WINDSHIELD SMOKE, Manufacturer: KORONIS, Manufacturer Part Number: 450-463-02-AD, Stock Photo - Actual parts may vary. by KORONIS at Notakem Bara. MPN: 4333733790. Hurry! Limited time offer. Offer valid only while supplies last. If you have any questions about this product by KORONIS, contact us by completing and submitting the form below. If you are looking for a specif part number, please include it with your message. 1989-1991 SKI DOO CHEYENE SKI DOO WINDSHIELD SMOKE, Manufacturer: KORONIS, Manufacturer Part Number: 450-461-AD, Stock Photo - Actual parts may vary. 1989-1990 SKI DOO FORMULA MACH I SKI DOO WINDSHIELD, Manufacturer: KORONIS, Manufacturer Part Number: 450-456-AD, Stock Photo - Actual parts may vary. Cobra Arctic Cat Zr4 Low Black 14.25"
1991-1992 ARCTIC CAT LYNX ARCTIC CAT WINDSHIELD SMOKE, Manufacturer: KORONIS, Manufacturer Part Number: 450-147-AD, Stock Photo - Actual parts may vary. 2008-2009 POLARIS TRAN SPORT POLARIS WINDSHIELD 14" MID SMOKED WITH GRAPHICS, Manufacturer: KORONIS, Manufacturer Part Number: 450-252-03-AD, Stock Photo - Actual parts may vary. 2008-2009 POLARIS TRAN SPORT POLARIS WINDSHIELD HIGH SMOKED WITH GRAPHICS, Manufacturer: KORONIS, Manufacturer Part Number: 450-253-03-AD, Stock Photo - Actual parts may vary. 1989-1990 SKI DOO FORMULA MACH I SKI DOO WINDSHIELD BLACK, Manufacturer: KORONIS, Manufacturer Part Number: 450-455-50-AD, Stock Photo - Actual parts may vary. 1982-1984 MOTO-SKI MIRAGE SKI DOO WINDSHIELD (CLR), Manufacturer: KORONIS, Manufacturer Part Number: 450-445-AD, Stock Photo - Actual parts may vary. 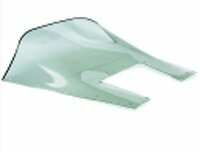 1997-1998 POLARIS XCF POLARIS WINDSHIELD CLEAR, Manufacturer: KORONIS, Manufacturer Part Number: 450-236-01-AD, Stock Photo - Actual parts may vary.